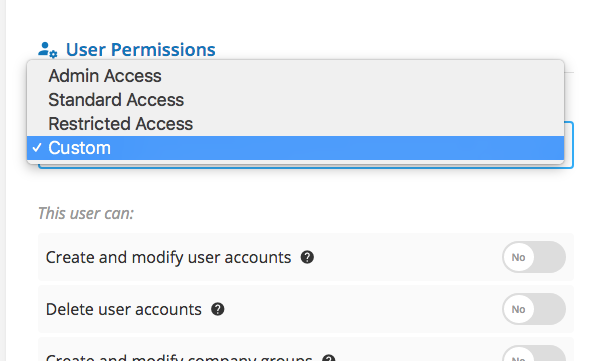 When adding a new user to your CompanyCam account, that user by default will have the 'Standard Access' permissions. 1. Log in on the web at app.companycam.com and choose 'Users' from the menu at the top of the screen. 2. Click the pencil icon next to the user to edit. 3. 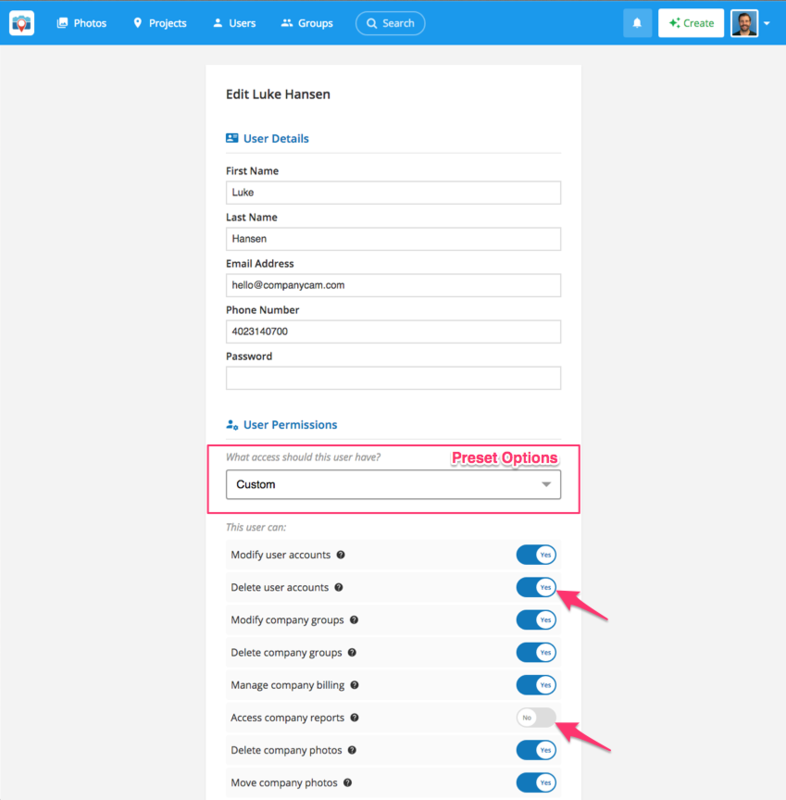 Customize this user's permissions by turning each option on or off. [See pink arrows in the image below].